Biodiversity can be found all around us! Just take a look outside and you’ll see nature abounds. A BioBlitz is an event in which teams of volunteer scientists, families, students, teachers, and other community members work together to find and identify as many species of plants, animals, microbes, fungi, and other organisms as possible. In an effort to better understand the variety of life within our urban ecosystems, Heal the Bay is hosting two Bio Blitz events this spring. But we are also extending a challenge to our youth groups to Blitz on their own and catalog as many organisms and individuals that they can between Feb 27th and May 21st. We’ve offered a special training on the iNaturalist application to our youth groups at our Blitz the Bay Youth Summits in Pacoima and in Playa Vista and now they are ready to compete in our Blitz the Bay Club Challenge. your middle or high school club or group must notify Halina Do-Linh (hdolinh@healthebay.org) of your club’s name. 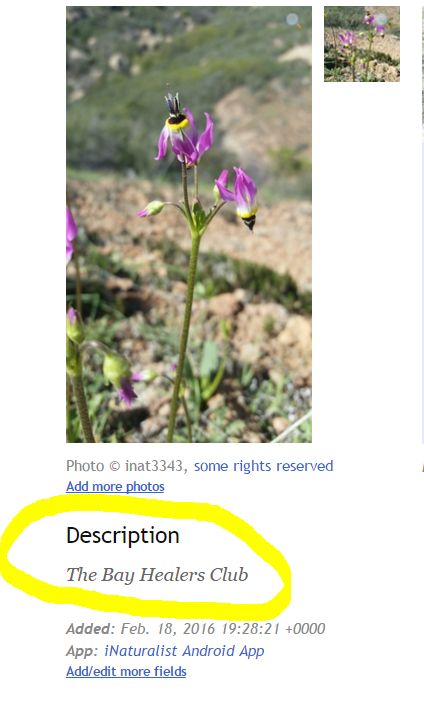 Your group members must download, install and create an account on iNaturalist. For more info on iNaturalist see the tutorial page. Upload as many observations* and species as you can from Feb 27th to May 21st to the Blitz the Bay Club Challenge and win prizes. Make sure your group’s name is the FIRST words added to the observation’s description. *Note: Each member of the group may NOT upload the same individual organism. Ex: if everyone in your group takes a picture of the SAME lizard, only ONE person should upload it as an observation. If there are two hawks flying around, you may make two separate observations– one for each hawk. What’s a Bio Blitz Dance? Meet John Griffith. This guy loves to Blitz! He truly feels the nature beat. Upload your Bio Blitz dance to YouTube, send me the link and may the best dance crew shine! For full contest rules see the BioBlitz Dance page. Winners will automatically be invited to the Club Heal the Bay Beach Party where they will be awarded their prize. Hope to see you there!